As the preparations have continued the list has shifted and changed. I’m sure it will continue to do so as new sponsors join the tour and we finalize our plans. Folks have been asking me what I need to make the tour happen. Below is the working list. 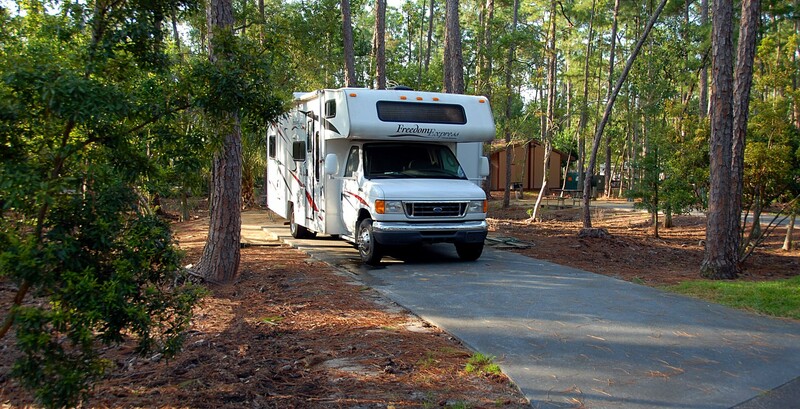 Ideally a Class C RV would suite our purposes nicely. An RV would give us a place to sleep and run the video production out of while offering ride support. If you have an RV that is ready for some adventure, then we would gladly accept your generous offer of support. In-kind sponsorship opportunity. Current bike is a 2010 Trek 1.1 which has served me extremely well through many training rides and long distance bike tours. I can proudly say I have never had to walk my bike up an incline. So, I know she can make it through the 3,062.5 miles. However, based on many hours of research and conversations with touring pros, a bike made specifically for touring (Trek 520, Surly Long Haul Trucker or comparable touring bike) is ideal for rides across terrain as varied as the Southern Tier. The route takes us through mountains, deserts, hills, swamp and coastal bends. Should you have a touring bike suitable for a 5’5″ woman then I would be happy to take that ride on an unforgettable adventure. Bike shop sponsors or cyclists with an extra steed in their bicycle stable are welcome. Team Jersey: Design will need to be finalized by February 25, 2015 in order to meet delivery requirements. We are using Eclipse Cycling which offers the most custom sponsored design options for the best pricing. Team Shirts: Final design due by March 20, 2015 in order to meet delivery requirements. Jireh Tees will produce the team shirts with sponsored branding. Repair Kits: Tubes, tires, spokes, chains and all manner of things are bound to need changing or adjusting. Replacement parts will keep the ride moving forward with minimal downtime. There are many items that have already been acquired for the tour. We will continue to update this list as necessary.